“Golden Bell”, the charming 12th at Augusta National, is arguably the most famous Par 3 in the world. The dreams of many golfers through the decades, including Jordan Spieth in the 2016 Masters, have been been dashed by the swirling breezes and Rae’s Creek. 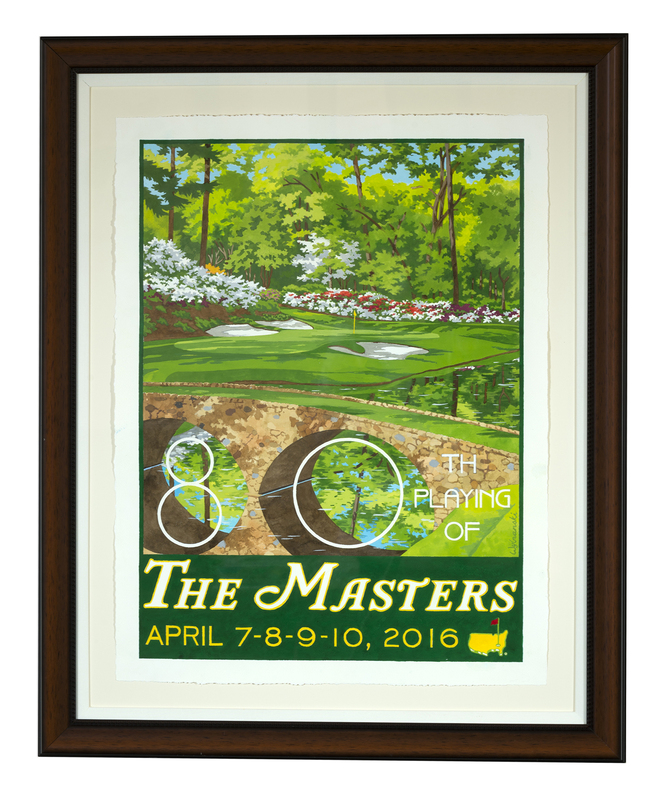 Lee’s painting in gouache for the 80th Playing of The Masters showcases the vibrant colors of the golf course and the iconic Hogan Bridge. The painting is floated inside a linen mat.